This isn’t so much of a recipe, but more of just a thing we both really like to eat. 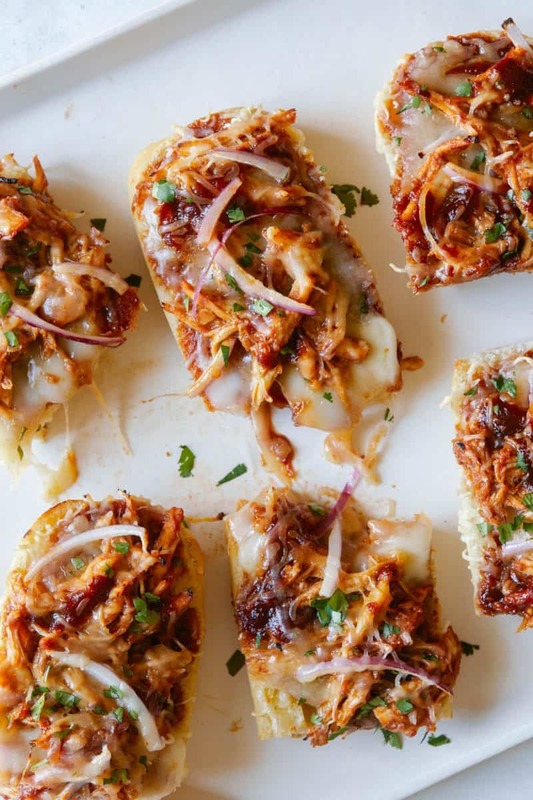 BBQ chicken pizza, but we put it on bread cause we pretty much always have that around and it’s still so good. Just thinking about this makes my mouth water. You could also just make these into nachos if you wanted to get crazy. Enjoy these! So simple and easy! 2. Place boats onto a baking sheet and spread a small amount of barbecue sauce over each cut side of bread. 3. In a mixing bowl combine remaining barbecue sauce with chicken and toss together. 4. 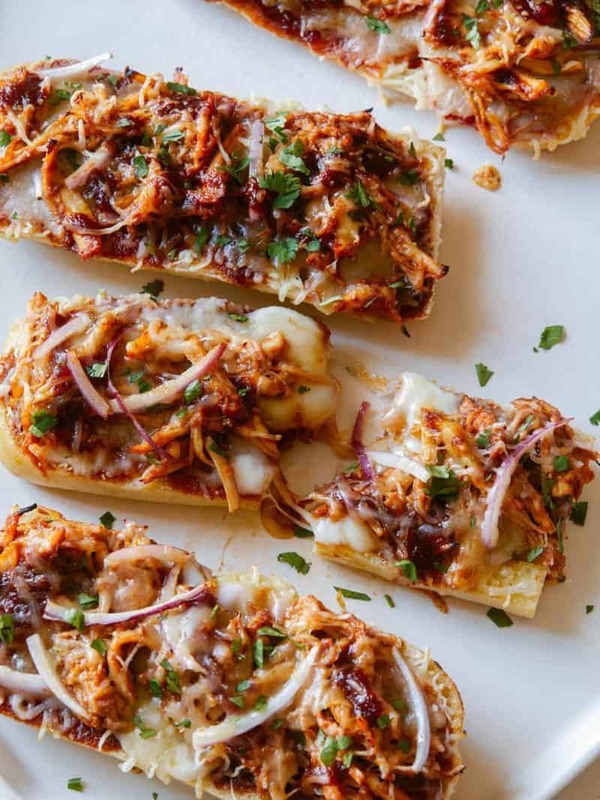 Top each boat with a sprinkle of cheese and load each boat up with barbecue chicken and red onions. Top each pizza boat with more shredded cheese and season with cracked black pepper. 5. Bake for 15 to 20 minutes or until cheese has melted and the baguette has lightly toasted. 6. Remove from oven and allow to cool for about 5 minutes . Top with chopped cilantro or sliced green onions. Serve. Nice recipe. So tempting. Will give it a try.